Hey Guys and Welcome! I’m CodenameGreen and I know I’ve been a huge slacker on writing blog posts recently but here I am and I’m ready to get back to the writing business. So recently I’ve become obsessed with the task of finding the most efficient ways to reduce the amount of water I use. When you’re paying your own bills and have a lot of plants, a cat, and fish demanding water, you want to cut corners anyway you can (plus being eco-friendly is what we’re all about right?). This means not only reducing water by cutting baths for showers, and cutting long showers for shorter showers, but also saving water that you’ve used. That’s right I’m talking about recycling water which leads to a term called “grey water” (and no I’m not talking about sewage water which is literally grey). This is just saving water that has been used for something like cooking, cleaning, or whatever else you do with water in your life. Now I know a lot of people have concerns with using water that has been ran through soap products through showering or cleaning dishes to water plants that grow food that they later eat due to the plants possibly absorbing the chemicals. If you do feel this way, then you can either filter the water before using it or you can use that water for watering your flowers and other non-food plants. 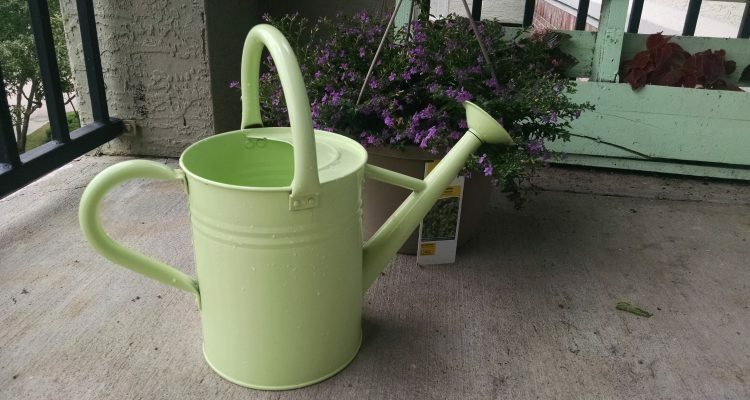 The water you then get from cooking or other non-soap activities can be used to water your food plants. If you are lucky enough to receive rain this Summer, you can always capture and use that water as well. Plants are natural filterers and will be able to process any water that you decide to feed them. Comment down below and share how you’re working to reduce and save water! Check out all my media links down below! I will right away grab your rss feed as I can not to find your email subscription hyperlink or newsletter service. Do you have any? Please let me recognise so that I could subscribe. Thanks. Hi there! Quick question that's entirely off topic. Do you know how to make your site mobile friendly? My website looks weird when browsing from my iphone4. I'm trying to find a template or plugin that might be able to resolve this problem. If you have any suggestions, please share. Cheers! It's a shame you don't have a donate button! I'd certainly donate to this fantastic blog! I guess for now i'll settle for bookmarking and adding your RSS feed to my Google account. I look forward to new updates and will share this site with my Facebook group. Chat soon! acK102 My brother sent me here and I am pleased! I will definitely save it and come back! Great awesome things here. I?¦m very happy to peer your post. Thanks so much and i am looking ahead to touch you. Will you please drop me a mail?